A credit card gets you nowhere in Germany. Cash is king. Did you know that about Germany? Last month, Germany unveiled plans to ban cash transactions above €5000. Germans were horrified. Germans love cash. Paying cash is much more common than paying with any kind of card. 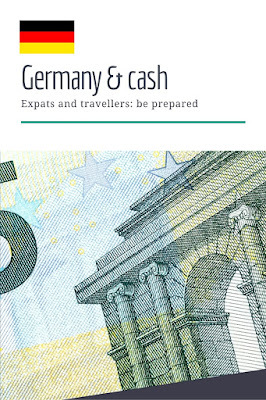 While in many other countries, people are moving away from cash, people pay for a baguette with a card (well, maybe not, but you get the idea), here in Germany people withdraw huge sums of money from machines every day to pay for everything that way. It makes no sense to me. 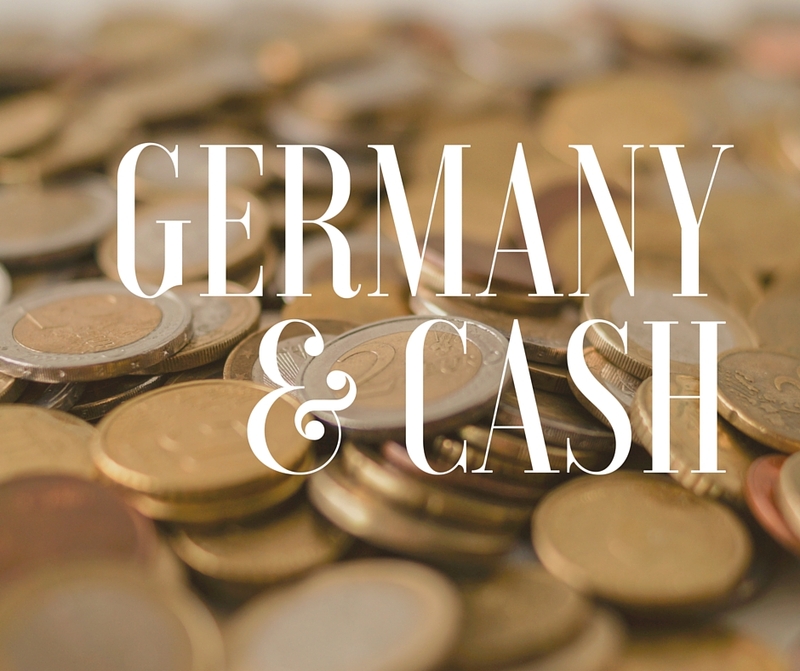 According to some recent studies, in Germany, at least 79% of transactions are cash transactions. This is huge. This is nuts. As a comparison, it is only 48% in the U.K.. Ordinary people in Germany pay for cars in cash. And they are not from any organised crime groups (or at least I don't think so). People like the anonymity of the cash transactions apparently. And you can see this on a daily basis. - Cash withdrawals: While most machines in the rest of Europe offers you €10, €20 as first options, in Germany, the amounts are huge. Sometimes you cannot even withdraw less than €50 at a time. This was really odd to me at first. I now got used to it and withdraw bigger amounts less often. - Credit cards are not accepted in many shops. That's right. You go grocery shopping and you pull out your "for everything else" card and you are met with a big fat no. You go to the Swedish furniture shop to buy yourself a sofa on your first week in Germany and the lovely lady tells you, they don't accept these cards. You have to go and withdraw a huge amount of cash and pay with it. And don't even think about contactless technology! - Bank cards (a type of debit cards) are much more common than credit cards. Most high street shops will accept those. But you need a German bank account to have one. - Online purchases are so odd in Germany too. I am not sure if it linked or not. You can buy and be invoiced for your purchase or do a bank transfer. Most Ebay sellers, for example, will not accept Paypal. A lot of Germans still choose to pay for online purchases with bank transfers even though there is no protection that way. I think many Germans might not even own a credit card. If you are visiting Germany or thinking of moving here, be warned. Prepare your wallet because Germans love them.